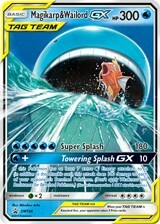 Magikarp & Wailord working together as a team! Big Pokemon and little Pokemon both bring their own style - and working together, they can take on just about anything! 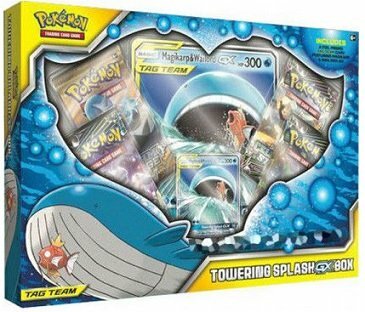 Magikarp and Wailord pair up as a TAG TEAM in this amazing collection, putting their skills together to challenge opposing Pokemon and discovering the power of two. 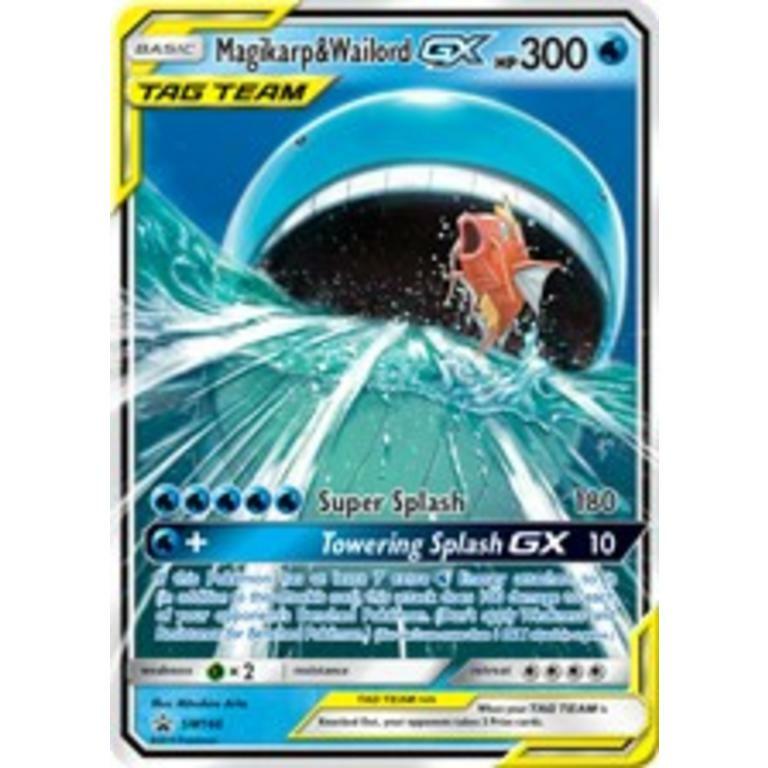 Witness this astonishing display of teamwork up close - and add the TAG TEAM of Magikarp & Wailord-GX to your collection. 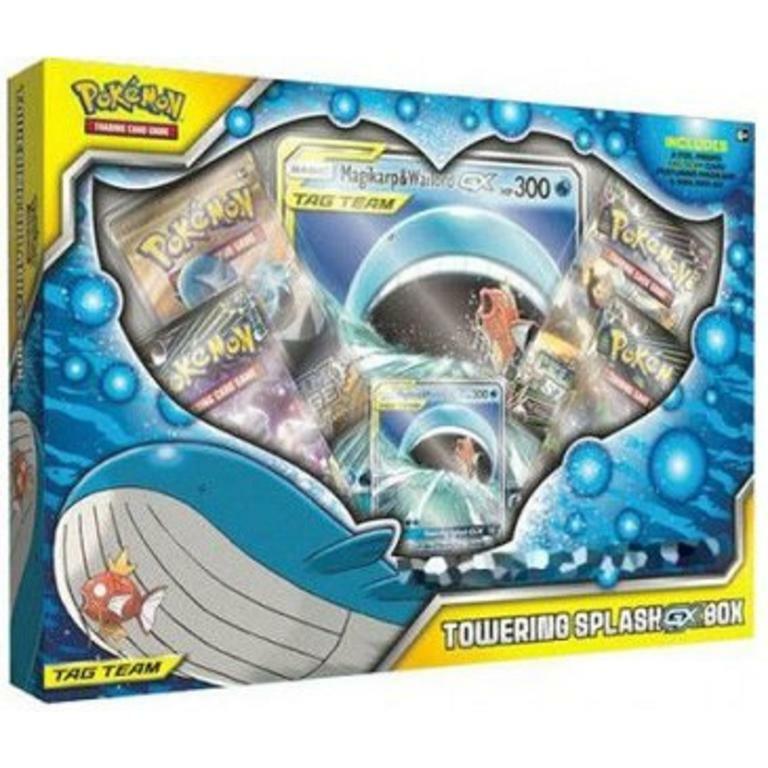 Call down the true power of legends - with Solgaleo-GX and Lunala-GX!